We provide complete waste management solutions and waste disposal services for business customers in Carlow and surrounding areas. Our team is happy to advise you on the best solution for your requirements. 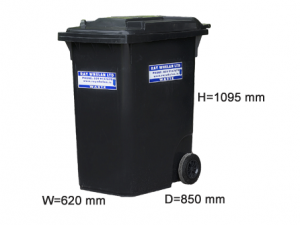 We work with all industry types including offices, restaurants, industrial estates and can provide many different size and specification bins to manage your waste. Our collection team understands that your place of work is important to you and will ensure prompt and professional service. 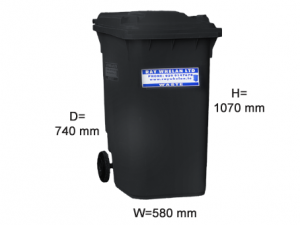 This is the most common size bin for commercial waste. It is ideal for larger businesses i.e. restaurants and shops. This bin would be suitable for a smaller business that produces less waste. 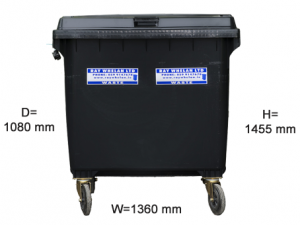 This bin is ideal for commercial premises with limited space for storing a bin. 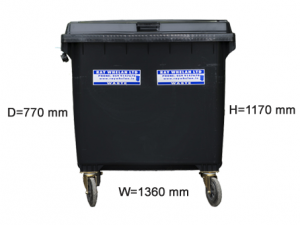 This bin is suitable for small offices or small commercial units. 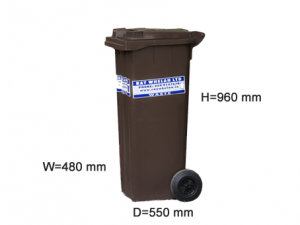 This bin is suitable for any business interested in environmentally friendly organic waste disposal. For more information on our commercial waste management and collection services, please call our Customer Service Team on 059 9147678 or contact us using the form below.